Hawaii is one lucky place. Not only do we get to celebrate all of the big American holidays (we’re a state, after all! ), but we also celebrate many holidays that originate from Asia, such as Girl’s Day, Boy’s Day, and the biggest one of all, Chinese New Year! 1. Chinese New Year Is All About Family: According to Time Magazine, Chinese New Year isn’t a time for drunken revelry and sequined hats. On Sunday night , Chinese New Year’s Eve, most people gather in their houses for “reunion dinners” with family members who have returned home. 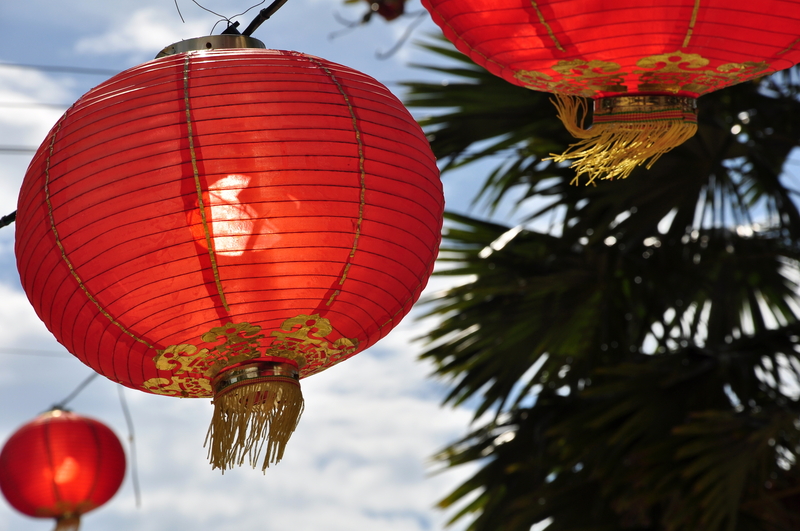 It’s no mystery that Hawaii is a VERY family-oriented community, and celebrating the Chinese New Year with close loved-ones is something treasured by many Islanders who have Chinese ties. 2. It’s the World’s Greatest Migration of People: In China, Hong Kong and other countries with a significant Chinese population, the New Year is celebrated as a public holiday — schools and offices close during this time — and so a massive number of people take advantage of the opportunity to travel, either heading home to be with loved ones or going on holiday, Time Magazine reports. In fact, Hawaii is one busy place around Chinese New Year, as people travel back home to China or come here on vacation. To the Chinese, red represents good fortune. So, you will often see red lanterns and other red decor lining the streets of Chinatown. 3. Chinatown Is Bathed in Red: To the Chinese, red represents good fortune, and so around the New Year the color can be seen everywhere around Chinatown. There are few things more vibrant than a trip to Chinatown during your Hawaii vacation, and that’s especially true during Chinese New Year. If you think ahead and book the Oahu Super Saver All-Inclusive Vacation Package from Hawaii Aloha Travel, you can use your Waikiki Trolley pass to visit Chinatown. You won’t regret you did! 4. We’re Entering the Year of the Monkey: According to Time Magazine, the Chinese calendar assigns each new year an animal per a rotating zodiac of 12: rat, ox, tiger, rabbit, dragon, snake, horse, goat, monkey, rooster, dog and pig. Last year was the Year of the Goat; this year is the Year of the Monkey. People born in the Year of the Monkey are characterized as intelligent, witty, curious and playful. The years 1920, 1932, 1944, 1956, 1968, 1980, 1992 and 2004 were also assigned as the Year of the Monkey. But, watch out! Apparently, the Year of the Monkey is also one of the unluckiest years. Pomelo, or jabong, is a large citrus fruit that represents continual prosperity and status. 5. The Food: I’m just learning about all the significant food associated with the Chinese New Year, but I’m already ready to try it all! According to the Honolulu Star Advertiser, Jin dui is a deep-fried, dessert dumpling that means good luck due to its round shape and golden color. 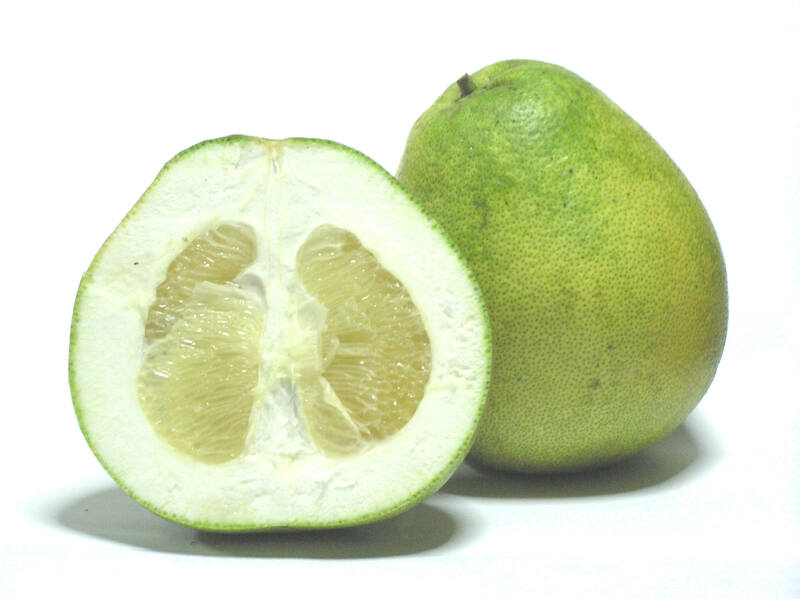 Pomelo, or jabong, is a large citrus fruit that represents continual prosperity and status. And, Nian gow means “year cake,” while “gao” also means “tall” or “high.” So, the cakes symbolize new heights of achievement in the coming year. But, stay away from the number four — I’m learning this can bring bad luck. In Hawaii, you can find all of these delicacies, and more, in Chinatown and around Hawaii. Or, perhaps you can learn how to make them! Chinese New Year in Hawaii is more than just a reflection of a far-away celebration. Hawaii’s deep connection to China means we get to ring in the New Year amid all the traditions many ancestors brought to Hawaii centuries ago. And, THAT just adds to the cultural appeal Hawaii has for so many visitors — from China and across the world.